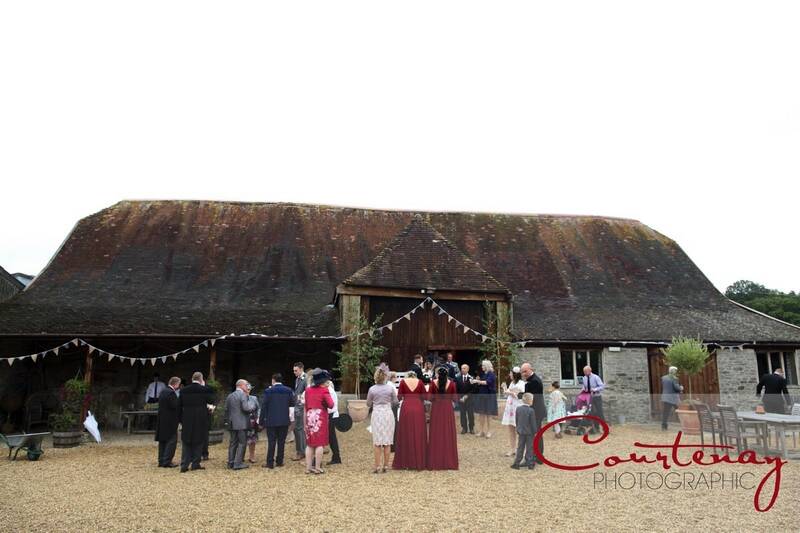 Last Saturday saw me heading back to a venue I haven’t been to for a few years; Stockbridge Farm Barn, just outside Sherborne here in Dorset. 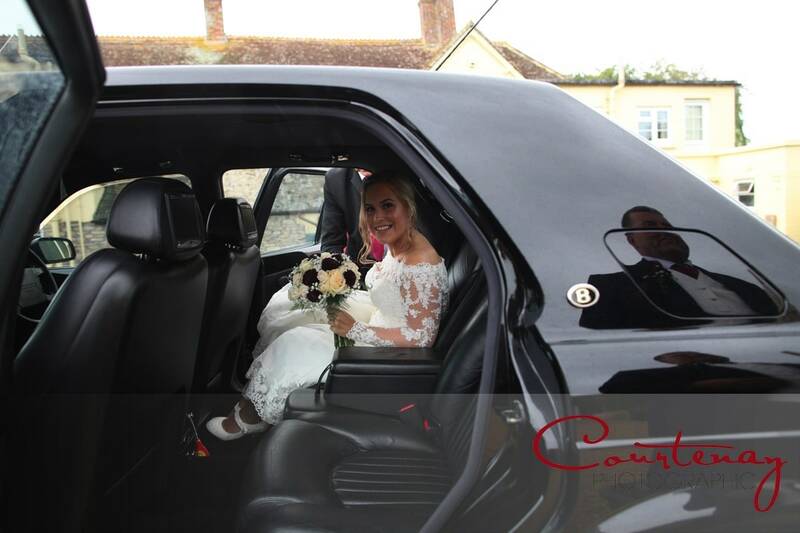 But first it was off to Wincanton, to Abby’s family home the capture the Bridal preparations. 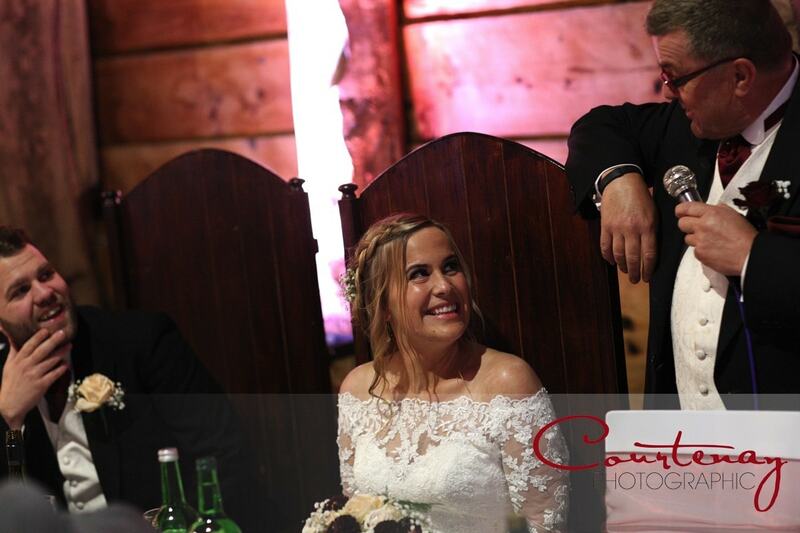 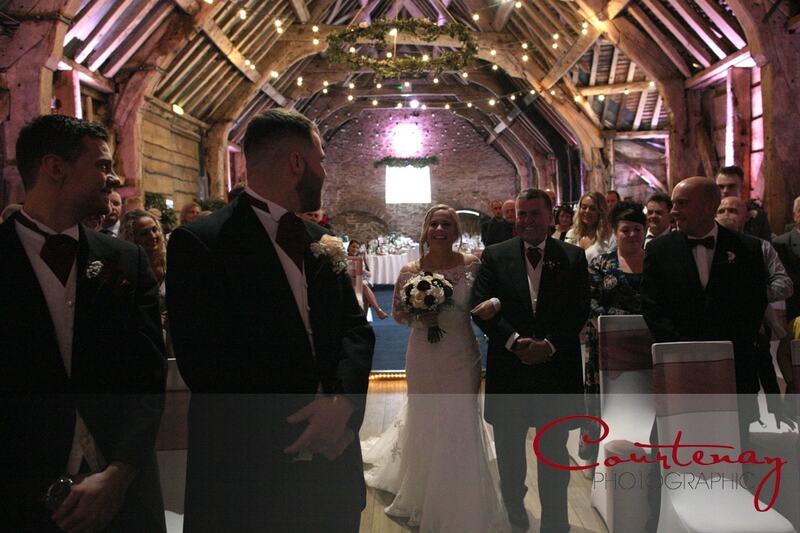 As usual, the house was filled and busy, with both Mums and three bridesmaids, hair & make up artist – plus Dad of course! 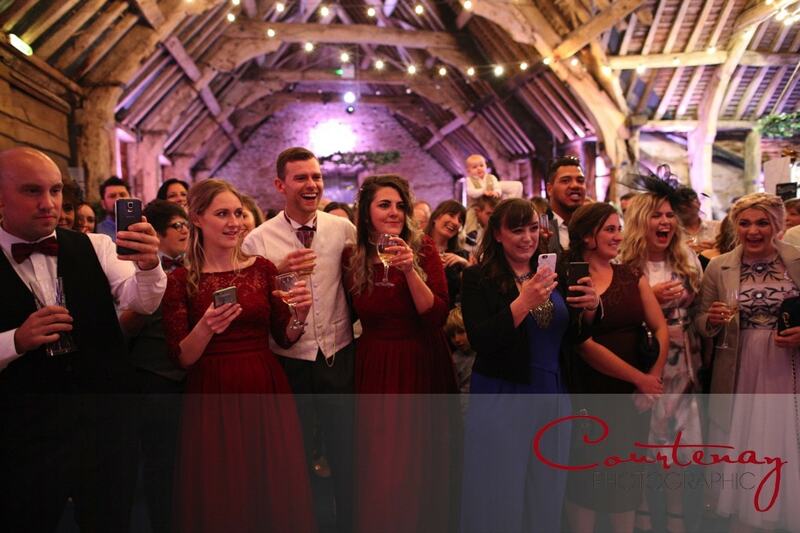 Despite the bustle it was a happy and relaxed atmosphere, with plenty of time for noisy chatter. 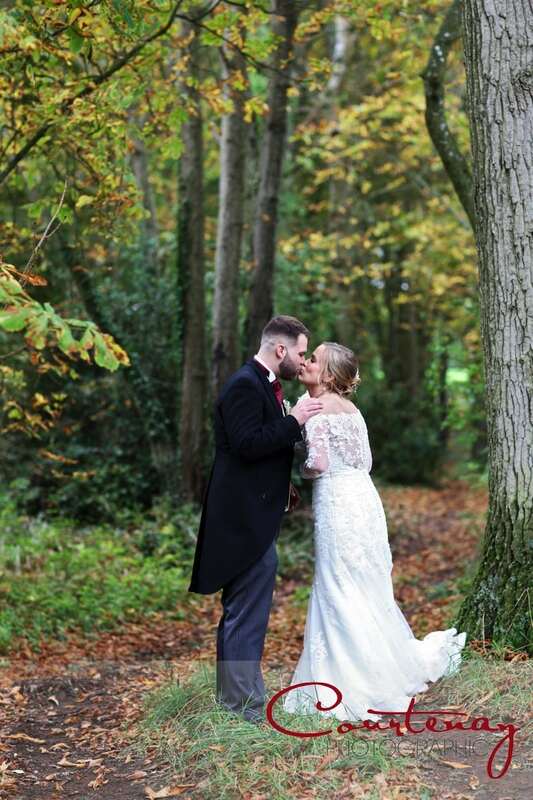 The weather outside was pretty changeable, but I was hopeful we could manage to avoid the heavy showers that were forecast and enjoy the Autumnal sunshine in between! 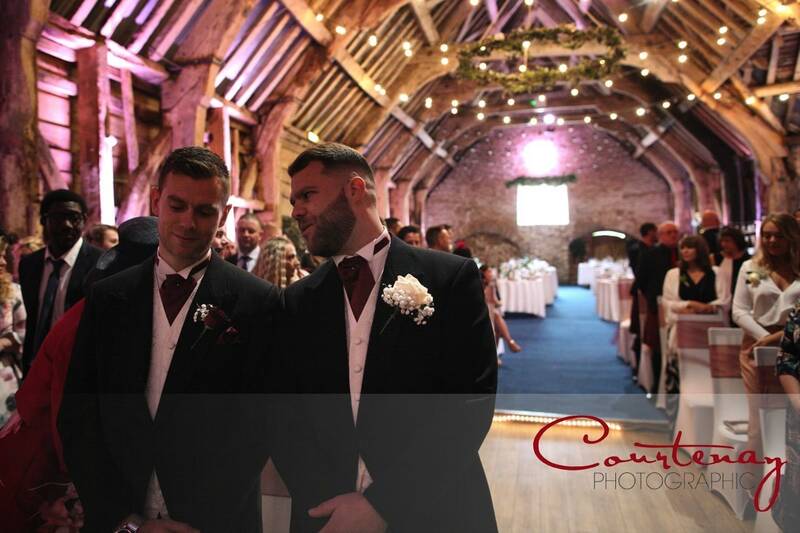 Eventually I left the bridal party at the house to get to the barn ahead of them, meeting up with James and his groomsmen as they were just finishing the last-minute touches to the decorations. 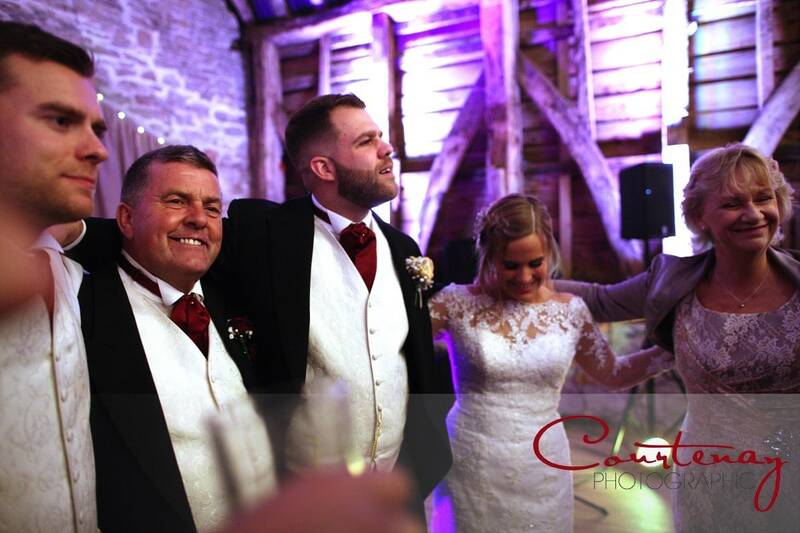 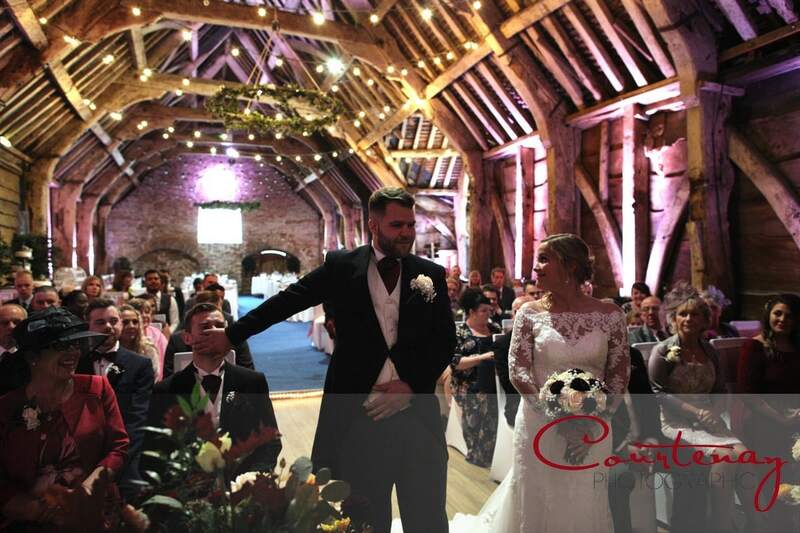 Guest began arriving in a slow trickle as they usually do – until an entire coachload arrived, and the barn rapidly filled! 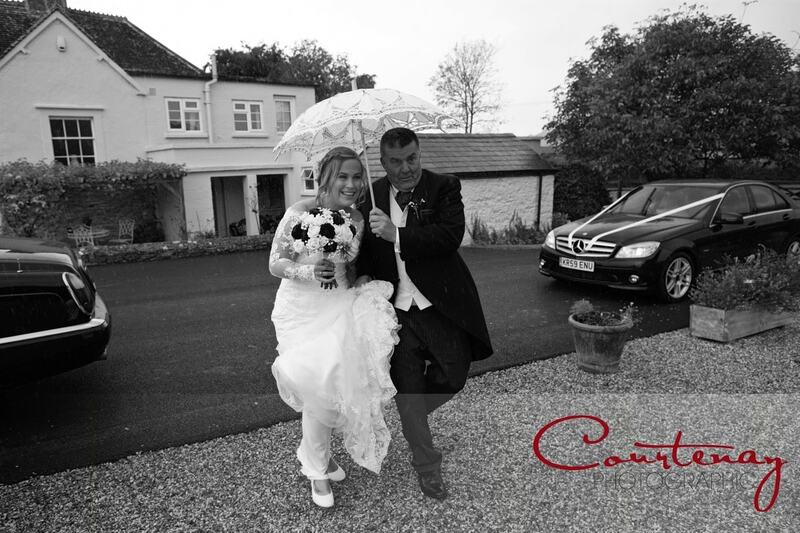 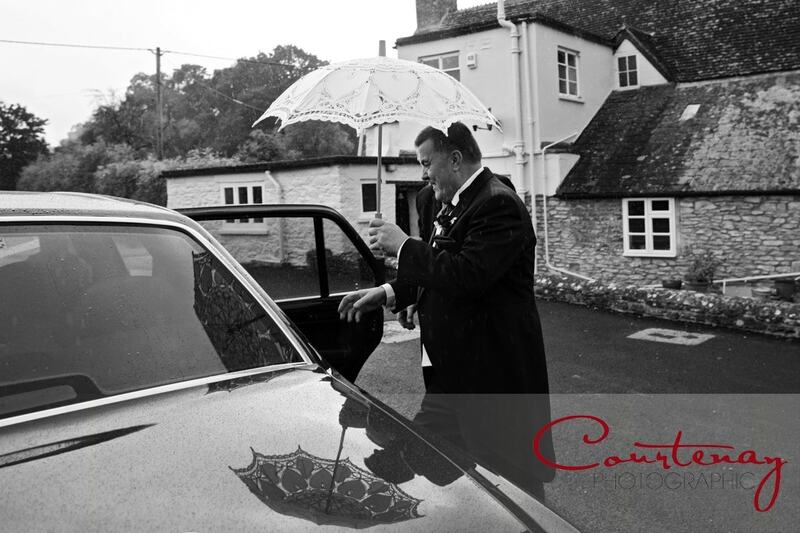 Typically, just as Abby and her dad arrived in the Bentley, the heavens opened; Abby decided to make a run for it, and her Dad heroically tried his best to shelter her from the weather with her small lacy parasol! 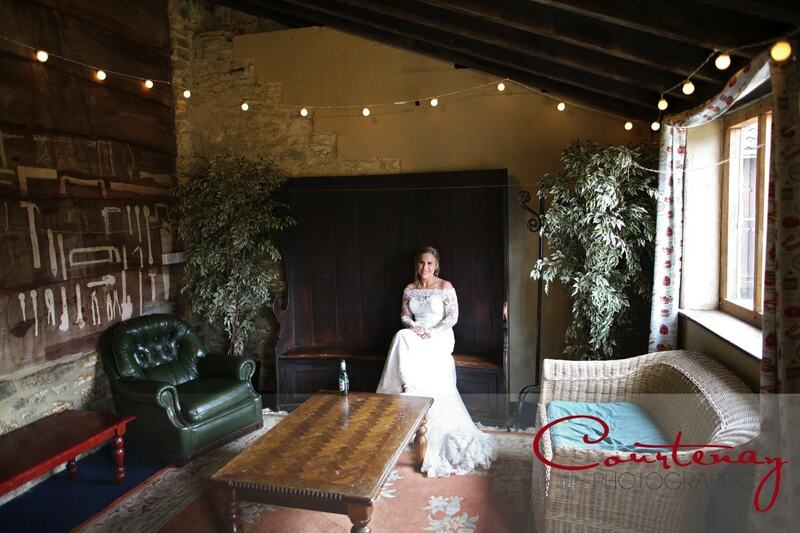 It’s thankfully just a few steps across the courtyard and into the barn, so Abby didn’t get too wet before she joined her waiting bridesmaids, and processed down the aisle for the ceremony. 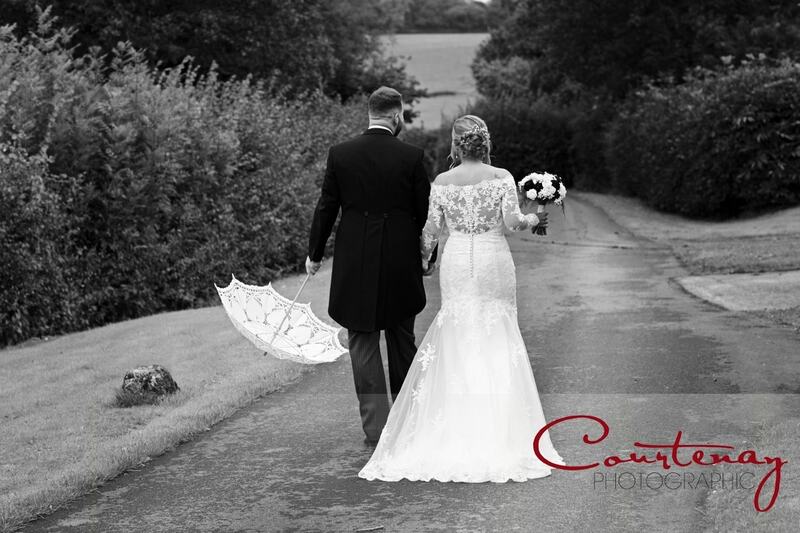 Once Abby & James were officially Mr & Mrs everyone followed them back outside into the courtyard, where the rain had cleared into a beautiful October day. 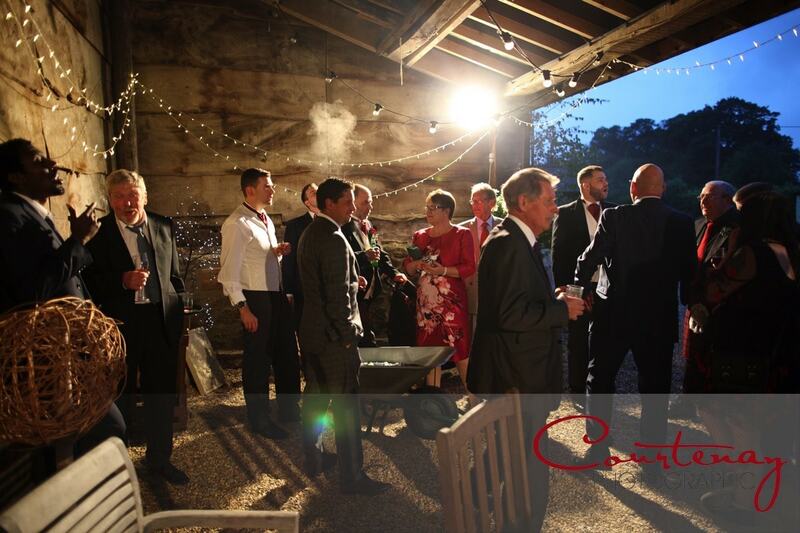 The guests gathered to chat, and the wheelbarrows of ice and Peroni kept everyone refreshed as canapés circulated. 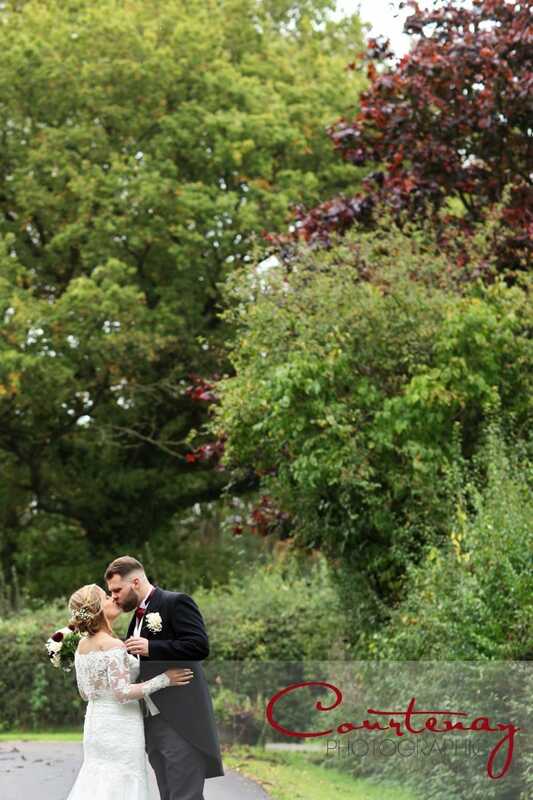 We completed the family formals in record time, and Abby & James were able to spend plenty of time catching up with family and friends before we slipped away for a quiet walk down the lane and into the fields. 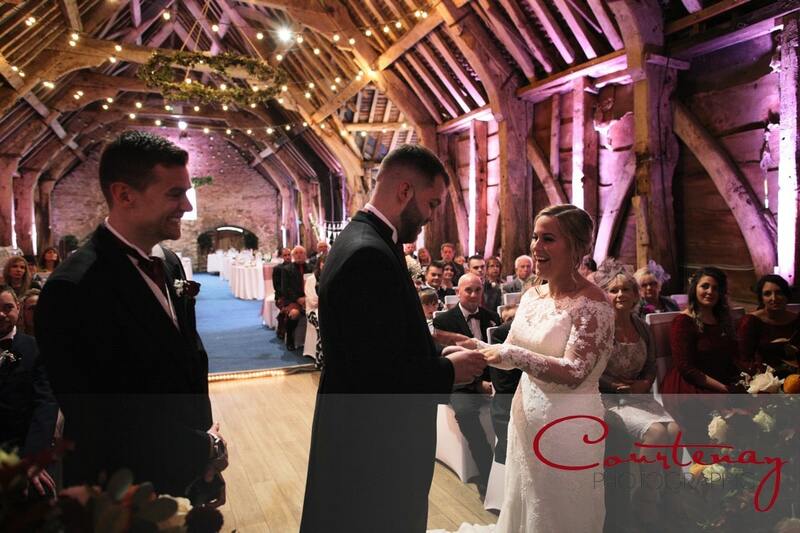 It’s always a nice moment for my couples to take a few breaths and really speak to each other for the first time, and Abby & James were no different, relaxing and enjoying the brief spell of peace. 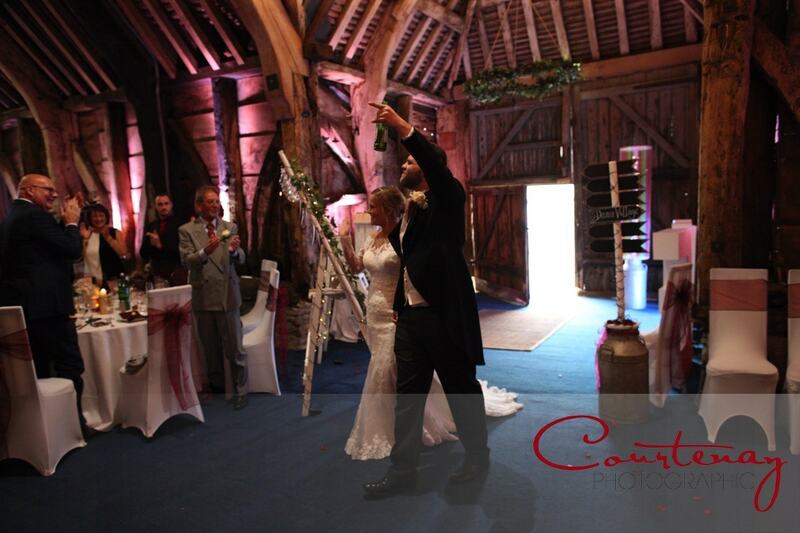 We returned back through the back of the barn, and came out into the courtyard through a rowdy confetti tunnel formed by the guests! 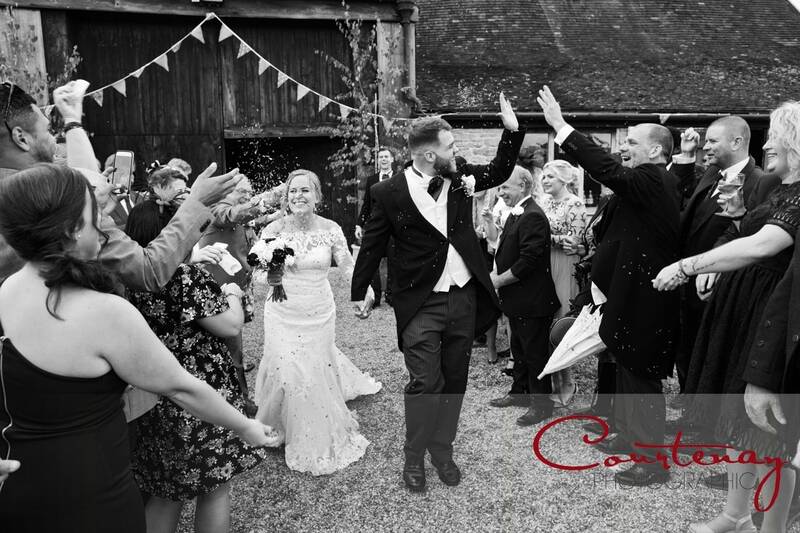 For once perfectly timed, the rain held off for us, and it was only as the last guests found their seats that it finally began to come down in earnest – and by then it no longer mattered. 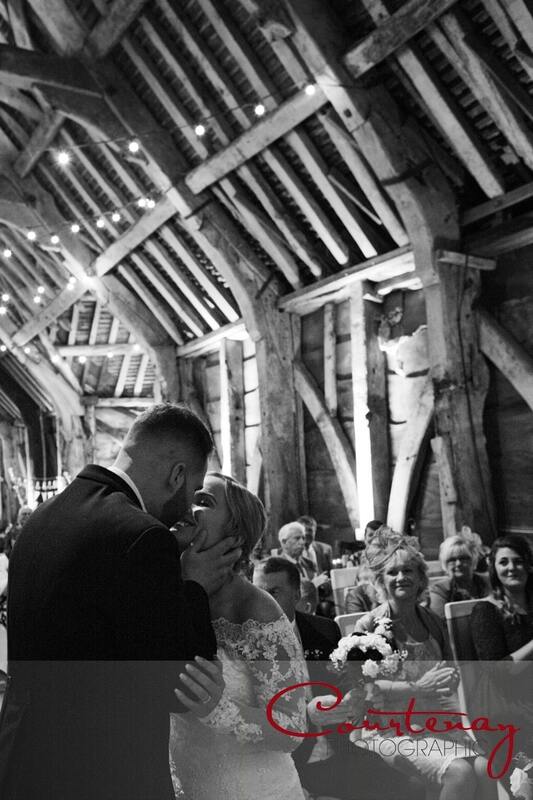 As the couple entered the barn for the wedding breakfast, I heard James murmur an apology to Abby – and it soon became clear why. 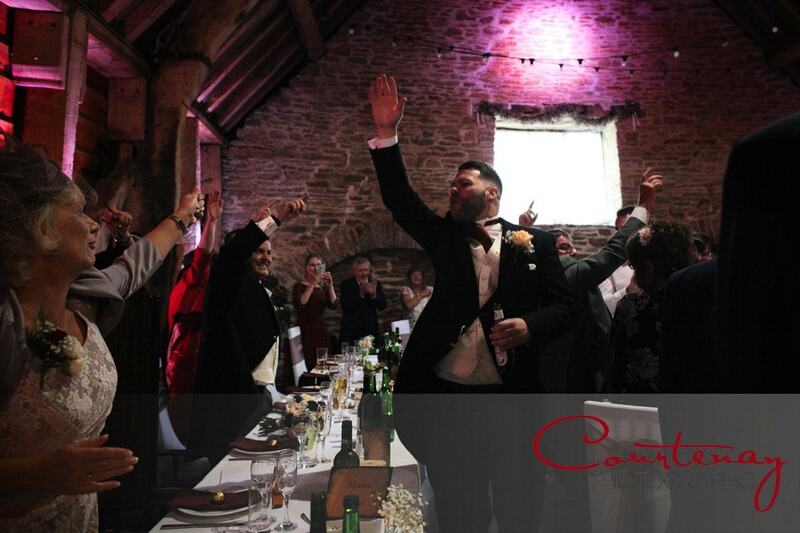 In a change to the planned music, he had arranged for House of Pain’s ‘Jump Around’ to play them in – and indeed everyone did jump around as the couple made a zig zagging route through the tables to their seats! 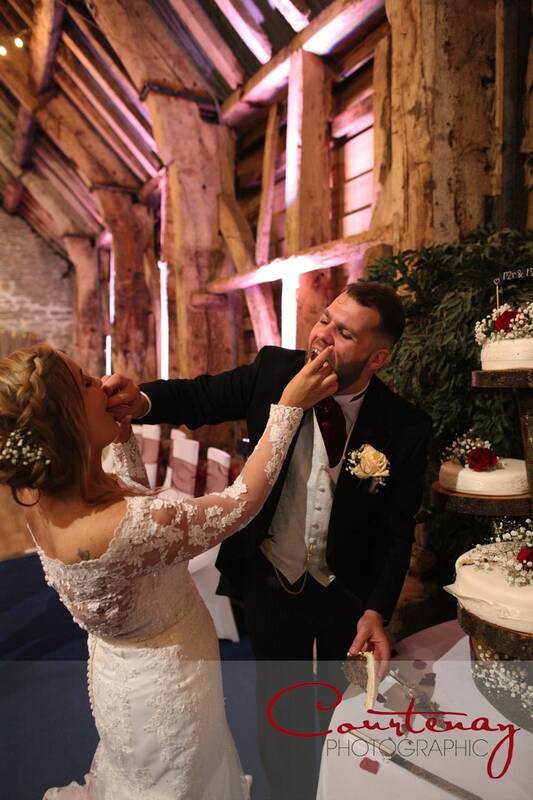 The meal was followed by the speeches, and then as the crowd of evening guests arrived Abby & James cut the cake (which was sitting on a beautiful wooden stand made by James’ Dad). 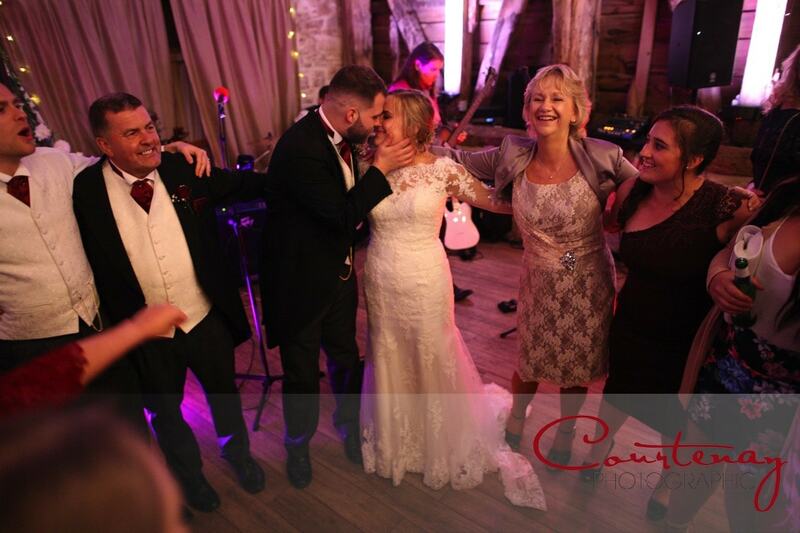 Finally it was time to hit the dance floor, and following a first dance to Ed Sheeran’s ‘Perfect’, the party was already well under way as I made my goodbye’s and headed out into the night. 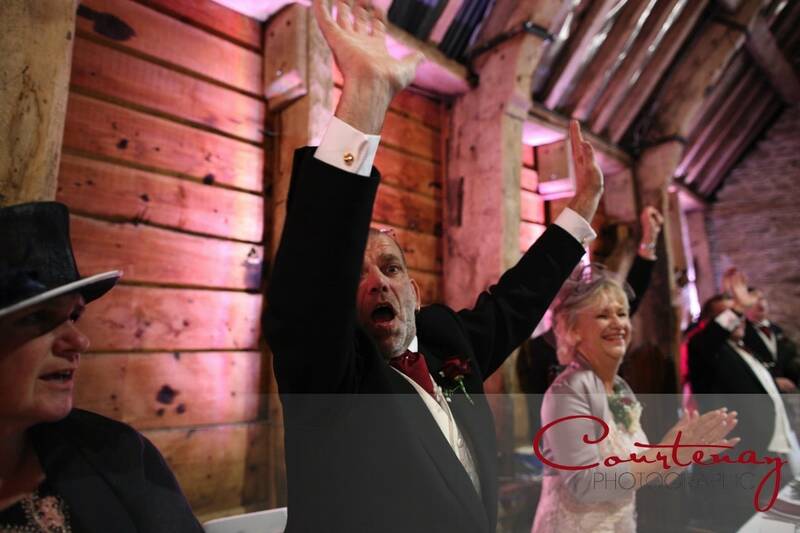 Congratulations Abby and James a fun day indeed! 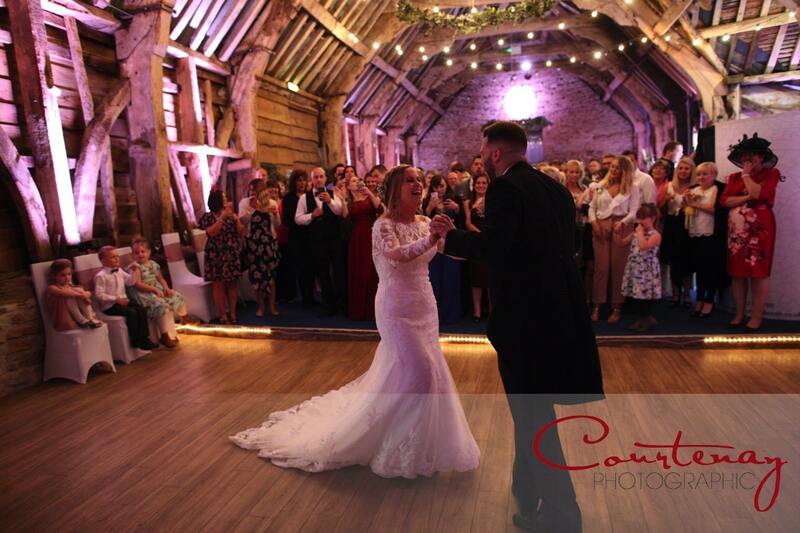 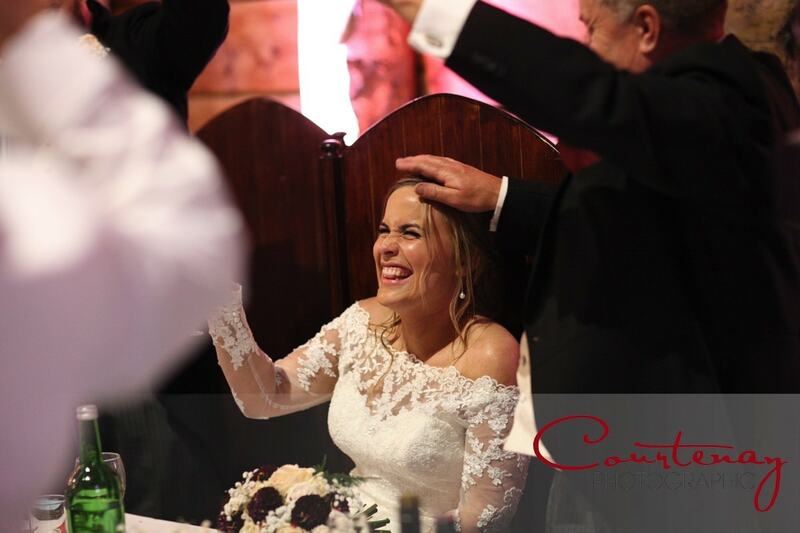 To see Abby & James whole wedding album when it goes live, click the following link and add your details to be automatically notified.